Home » Family » Marriage Matters with Paul Shogren » Can a divorced person who does not remarry or start a new relationship receive Communion? Holy Communion: Men and women in this situation are as free to receive Holy Communion and celebrate reconciliation as Pope Francis is. While divorce does not render a person excommunicated from the Catholic Church, are there sacramental limits on a person who does not remarry or start a new relationship? Find out in this episode of Marriage Matters. As I said before – being divorced in and of itself does nothing to one’s capacity to engage in the sacramental life. 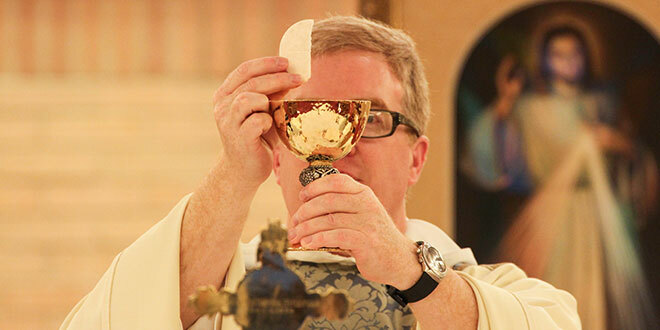 Simply being divorced does not prevent a person from receiving Holy Communion. Men and women in this situation are as free to receive Holy Communion and celebrate reconciliation as Pope Francis is.